John Jenks, 86, of La Crosse died peacefully at home on Sunday, March 17, surrounded by his family. Over the years, John mastered many arts and skills – he was a radio personality, news reporter and director, college professor, marketing consultant, Naval Reserve officer, jazz aficionado, bagpiper, advocate for the disabled, tour leader and world traveler. He also charmed almost everyone he met with his quick wit and dry sense of humor. John was born May 6, 1932, in La Crosse and attended Washburn Elementary, Lincoln Junior High and Central High School, graduating in 1950. Even though he later roamed the world, he was always most content close to his earliest southside stomping grounds. His first adventure came in 1951 when he enlisted in the U.S. Air Force. After teaching him Russian, the Air Force sent him to Germany to help keep tabs on the Cold War enemy. During his leaves he explored Europe but returned to La Crosse in 1955 to earn his bachelor’s degree on the GI Bill at what is now the University of Wisconsin-La Crosse (UWL). He studied English and history in the day and worked at the old Allis-Chalmers plant on Second Street on the night shift. John’s personal fortunes took a permanently good turn in 1958 when he met and began courting Rita Ulbrich, who had moved to La Crosse to study nursing at St. Francis Hospital. They married November 12, 1960, and remained partners and best friends for 58 years. John’s love of music and language led him to an early career in radio at WLCX, where he worked as a disc jockey, news reporter and director, announcer and all-purpose raconteur for several years before he took the opportunity to earn a doctoral degree in communication at the University of Iowa. His research into what was then the cutting-edge technology of cable television led him briefly to Washington, D.C., where he testified about his findings before the Federal Communication Commission. After three-and-a-half years in Iowa, he and Rita returned to La Crosse — now with two small children in tow and a third soon to follow — to create the Mass Communication Department at the university. The department quickly grew to more than 300 student majors under his leadership. 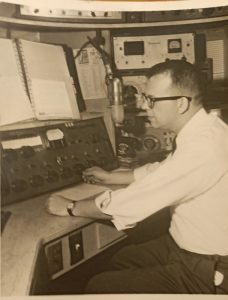 John brought his passion for radio to the university and led the drive to create radio station WLSU-FM. He also shared his expertise in media and marketing beyond the classroom through regular seminars, workshops and consultancies for businesses, governments and nonprofits around the state. Throughout those years he continued his service to his country, this time as an officer in the U.S. Naval Reserves, where he served nearly three decades and rose to the rank of lieutenant commander as he used his skills in teaching, media and persuasion to boost Navy recruiting. He brought those skills to bear in the community to help the disabled, serving for many years as a board member of Chileda, an institute for children and young adults with cognitive and behavioral challenges. By the late 1970s, John was combining his love of music with a rediscovery of his Scottish heritage, by learning to play the bagpipes and helping to create La Crosse’s premier bagpipe band, the La Crosse & District Pipes & Drums, also known as the Floodplain Fencibles. For decades the band has thrilled tens of thousands of people at parades and festivals around the region, and even traveled to Scotland to perform. John and Rita later led many tour groups to Scotland over the years – highlighting bagpiping, nursing, culture and, of course, a wee dram of Scotland’s best-known products at the end of the day. John brought his passion for Scottish life and culture to the university when he taught in the Scotland study abroad program at Dalkeith Palace, the ancestral home of the Duke of Buccleuch just outside of Edinburgh. He served there for four semesters – two of them after he had retired from active teaching at the university in 1996. The sureness of his feel for Scotland – and his playful sense of humor – came out on a later tour of the country. He was wearing his traditional Scottish kilt outside historic Cawdor Castle when he convinced a group of camera-wielding tourists that he was the castle’s duke – and posed with them for pictures in front of “his” castle. In 1993 he and Rita ventured into the wild world of post-Communist Europe when they went to Latvia for a year to teach conversational English to university students as part of UWL’s Cooperative Teaching program. They made lifelong friends and forged an enduring connection between La Crosse and Latvia. John’s interest in Eastern Europe continued after his retirement as he journeyed to Poland and Ukraine as a marketing consultant to help with newly competitive businesses and schools there. But travel was not just for work. As their three children began hop-scotching the world for their own jobs, John and Rita traveled to Europe, Asia and Africa to see the sites – and their growing crew of grandchildren. They also sampled plenty of exotic locales on their own – from Victoria Falls on Africa’s Zambezi River to misty Chiang Mai in the highlands of northern Thailand. More recently they made an annual trek with a group of area friends to the sunny beaches of Zihuatanejo, Mexico, each snowy February. Closer to home they shared for years their deep knowledge and love of the Upper Mississippi, its people and culture by leading week-long Elderhostel tours up and down the river on the Julia Belle Swain steamboat. They learned as much as they taught as they recruited musicians, story-tellers, naturalists and other experts for the tours. 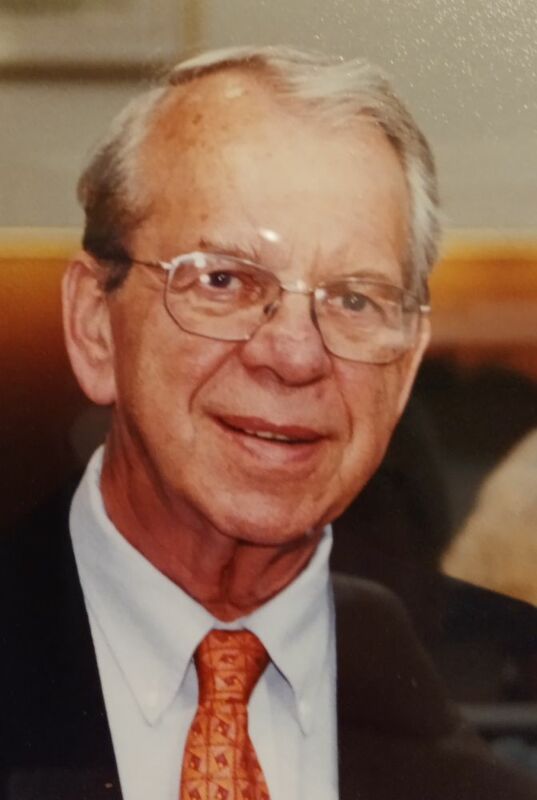 John is survived by his wife of 58 years, Rita, sons John Jr. (Jennifer) and Jeff (Dawn Broussard), of Oak Park, Illinois; daughter Julie, of Decatur, Georgia; grandchildren Leah, Daniel, Luke, Jake, Tafesse and Meron. In lieu of flowers, memorials in John’s name can be given to the UWL Foundation or the Gundersen Medical Foundation. 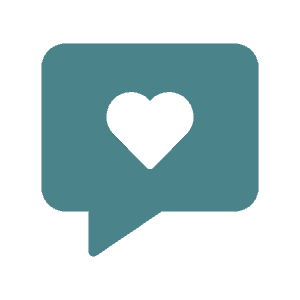 Online condolences may be made at the Coulee Cremation Society at www.couleecremation.com. There will be a celebration of life for John Jenks announced at a later date. I am so sorry to hear of the passing of John Jenks. The Jenks and Zobin families were bonded by our dads being professors of Mass Comm at UW-L and our moms being nurses at Lutheran Hospital. I always knew John was a very special man (and always so funny), but in reading his obituary I was just awestruck by his many accomplishments. Although this is a time for sadness, it is also a time for tremendous celebration of a life well lived. Much love to you guys! John is the last of the three amigos, John, Jim Conway and Al Wall. John was my Professor at UW-L in Mass Communications. He was a dear friend. Many wonderful Mass Comm parties at his home and at Jim Conway’s home on the river. John could light up a room with his smile and laugh. His love for Rita and the rest of his family was a thing of beauty. Many great memories, may John rest in peace. So sorry to learn of the passing of this good man. John Jenks was a mentor for so many of us as we worked to develop our fund raising skills, particularly direct mail appeals. John and Rita taught us all, by their great example, how to enjoy life. It was always fun to bump into the Jenks and catch up on family and news of the day. May John rest in peace now, and, may your family find some comfort in his memory. My condolences to the family. John was one of those people that always charmed and will never be forgotten. I fondly remember traveling to Scotland with him, and his excellent sense of humor that kept everyone well entertained during long hours of traveling. I had not heard the “Cawdor Castle” story until I read his obituary, but I have a vivid image of that story playing out in my mind! We were blessed to have him in our lives, and while it has been many years since I saw John, his passing is a loss to me as well. My regards to Rita, John Jr., Julie, and Jeff; plus the many grandchildren. I mourn the passing of an influential professor, mentor, colleague and friend. John had a major impact on my career choices and that of my brother, Gary. The scope of John’s impact on others is his unending legacy. There are so many stories to share. He will be fondly remembered and greatly missed. The Wall crew is devasted to read of John’s death. We remember the fun family get togethers with Rita’s lasagna and Johns enduring wit. When you feel up to it please give me a call I would love to see you. Hugs to all of you. I am so sorry to hear of John’s passing. As it turns out, I think that was a mistake since I know now I would have learned something. I say that because when I returned to UW-L in 1986 to work at WLSU-FM, I learned a whole lot from working down the hallway from John. For example, I learned that it’s perfectly acceptable to have a working barber chair in your office and still be an effective professor. I also learned that bagpipes are not the enemy although I will say they’re louder up close in a confined space. I learned that an administrator with an open door policy is a good thing; that world travel is something to aspire to; that you should pay close attention to your family and that grace under pressure can be achieved. He was also a good guy to have a drink with now and again and I learned a lot from that too. Rita and Family….It is with a very sad heart that I read of the passing of a great man, instructor, and friend. Just today, I read through several letters Dr. Jenks wrote to me as I began my career as a reporter/photographer for the Loyal TRG. His concern for the success of all his students was high on his list. Your family was such a very important part of my life at UW-L. So many memories! Just this past December, I enjoyed a long visit with him. His words of wisdom will always be a part of my life. I can’t help but smile to note the day of his death. I guess he now plays the Irish Bagpipes! Rita and Family – I am so sorry to hear about John’s passing. As you know, my father, Lorin Hyslop, met John in the service and shared many of those European adventures with him. John convinced him to come back to La Crosse, where their fun and education continued. Dad is still alive, although his memory is failing. We have many pictures of their time in Europe in the 1950s and I would love to share them with you sometime.